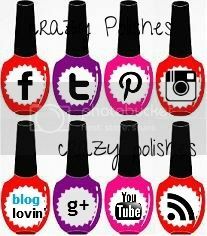 Crazy Polishes - nail arts, swatches, reviews Crazy Polishes: Twitter competition with Jacava London! I recently come to know about Jacava London nail polishes. Jacava is UK nail polish brand and their polishes are 8-free. The formula of polishes is nourishing and even the bottle comes with 22 carat gold imprint. I will be swatching some of their polishes soon. But today something exciting for you. Jacava London is hosting a twitter competition where you can win one bottle of each shade of the new JACAVA AW13 collection and also to name one of the purple shades. 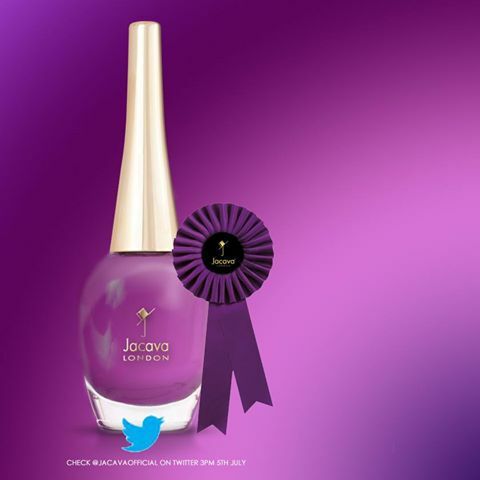 To enter all you have to do is to choose which of the three suggested names for the new purple polish you prefer and re-tweet Jacava London's tweet mentioning your choice. A random winner will be chosen in August and that person will win the entire JACAVA AW13 collection collection, plus the very first polish with your selected name that too pre-release. There will also be 3 runners up who will get a bottle of the purple polish. If you win, you will be asked where you heard about the competition, so don't forget to mention Crazy Polishes so I can win too. RT to Win the new AW13 @JacavaOfficial collection (http://t.co/k5j8rLXgaa)! #myjacava nail polish is 'PURPLE PROMISE'. RETWEET to enter! RT to Win the new AW13 @JacavaOfficial collection (http://t.co/k5j8rLXgaa)! #myjacava nail polish is 'PLUSH PLUM'. RETWEET to enter! RT to Win the new AW13 @JacavaOfficial collection (http://t.co/k5j8rLXgaa)! #myjacava nail polish is 'PURPLE PASSION'. RETWEET to enter!